All orders for day/night window shades must be sent to OEM Blinds LLC. at the address listed below. Refer to the bottom of this page for street address, email address,and phone numbers. We will accept major credit cards (Master Card and Visa). 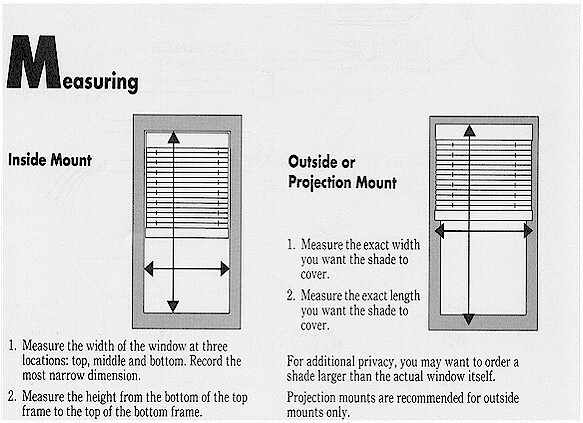 Please refer to our Day/Night Shades Measuring page for detailed information on how to measure for your shades.